Paul VI and Romero, media and reality What will be the lettergate impact on media reform? Probably, there are no hidden plots behind a release that included just some excerpts of the letter Benedict XVI sent to the Prefect of the Secretariat for Communication responding to a request for a foreword on a series of books on Pope Francis’ theology, although a paragraph had been actually not reported, as Vatican veteran watcher Sandro Magister first discovered. Another question is more compelling: why is there this need to provide Pope Francis with a strong theological profile? 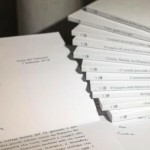 Benedict XVI’s letter is the response to another letter. Like the major part of the courtesy letters in Vatican language, the letter uses the words of presentations of an initiative, it cordially welcomes them and in the end rejects the offer. The words “silly prejudice” that grabbed the headlines were probably part of the letter of presentation of the series of books. Benedict XVI mentioned it, and used it, because de facto this prejudice also damages him. Can we really say that Benedict XVI’s pontificate was not a pontificate of government? No, as it is proven by the number of decisions made, the quiet reform started and also the attacks the Pope emeritus endured during his pontificate. His response, in the end, was also a defense of his own work as a Pope. On the other hand, can we really assess that Pope Francis’ pontificate lacks intellectual depth? No, and this can be understood by the Evangelii Gaudium, the Apostolic exhortation that also represents his government program. Pope Francis’ intellectual foundation is however different. It is not framed in European philosophy, like that of the popes that preceded him. It spontaneously sprung from the Latin America the Pope hails from. Latin America’s approach is influenced by Europe – Liberation Theology was incubated by Gutierrez and Boff in France and Germany, and only after brought to South America – but is also looking for redemption. Yet, there was a sort of anxious eagerness to show that Pope Francis is not a poor intellectual, and that his alleged simplicity has behind it a complex system, fed by the European philosophy and theology. There is an impression of a defensive posture, and an attempt to make the Pope more acceptable to the old world. Why this change of pace in communication? Has anything broken down between the Pope and media? We are at the fifth year of Pontificate, and it is Pope Francis’ turning point. The latest Benedict XVI’s appointments expired, the Pope has already reshaped the composition of the college of bishops, and after the next consistory – it could take place in June or November – the Cardinals created by Pope Francis will surpass those created by Benedict XVI. With the turning point approaching, ever more criticism was raised. Things broke down with the case of Bishop Barros of Osorno, Chile. The Pope kept Osorno at his post, even with Osorno allegedly having covered up abuses by the charismatic Fr. Karadima. The Pope tried to heal the situation, sending archbishop Charles J. Scicluna to Chile as his special envoy to get more information. The path of Vatican reforms continue, but everything seems to be on hold. Pope Francis is convinced that reforms should be done “while walking.” However, the Vatican financial reform is halted, and had to go back to basics because of some structural limitations, while the Curia reform, for the most, just brought about the establishment of two “super dicasteries” and little more. These limitations are always more prominent, and are attributed to a lack of intellectual depth. Pope Francis is a pragmatist, not an intellectual, and lacks a vision: these are some of the criticisms raised against him from within the Vatican. Perhaps the need to provide the Pope with an intellectual profile comes out of this internal debate. As if they wanted to show the world that the Jesuit who acts as a parish priest to the world is not just a man of government (as it is now certain that he is, because the Pope likes to make decisions personally), but also a man with a profound cultural foundation. Many other articles were published to mark the 5th anniversary of pontificate, and the most defensive ones blamed both on progressive and conservative storytelling for the image provided of Pope Francis, thus certifying the existence of an agenda behind the Pope’s back. There is also another issue. Pope Francis is being studied to understand his moves, sometimes unpredictable, and so his intellectual reference points might help to understand what the he is going to do. Not by chance, a book by the Italian philosopher Massimo Borghesi “Jorge Mario Bergoglio. An intellectual biography” was eagerly read by those in the Vatican corridors who had the need and the curiosity to better understand the Pontiff. It is worth to consider the book, because it is revealing of the ongoing discussion. The declared aim of the book is that of responding to the critics of those who say that Pope Francis lacks cultural depth. However, the book also has a second goal: that of rejecting the depiction of Pope Francis as a “typical Latin American,” emphasizing his roots in a European culture fed by the works of philosophers like Fessard, de Lubac and de Certeau. The book provides a general framework of the context where Cardinal Bergoglio was nurtured, from his initial sympathies for Juan Domingo Perón, to his populism. On the other hand, the book has some ‘lacunae’, and these lacunae tell much about the discussion. Second: the influence of Fr. Giussani and Romano Guardini on the Pope is probably overstated. Pope Francis borrows from both of them, most concretely on Christian realism, but remains far from the consequence of embracing more fully this notion. To sum it up, for Guardini and Giussani the idea went beyond the reality and shaped it, while for Pope Francis realities are greater than ideas. In the end, the general image provided by the book is that of a Latin American Bishop, imbued with the notion of people and committed to a pragmatic approach. Pope Francis’ philosophy seems to be a polarized philosophy. Since his first studies, he works – or he is influenced by the studies on the topic – to overcome the Hegelian and enlightenment dialectic. He considers it the dialectic of the master in opposition to the servants’ point of view. Pope Francis does not like synthesis. He thinks on the basis of the alternation of situations. In the end, Pope Francis appears to believe that God will make his intervention in processes, while sound popular sense and conscience will help. This is his mystic dimension. This is the reason why he tries to open processes, but tends never to close them, as he counts on Providence for closing them. When he is governing, he tends to institutionalize the opening of the processes, and it is a sort of reaction: when the opening of a process is institutionalized, no intellectual coming from above will be able to dismantle his construction – this can be noted by his decision to include his letter to Argentinian bishops on Amoris Laetitiae among the Acta Apostolicae Sedis. Borghesi’s book does not mention it, but Pope Francis is also strongly influenced by Jorge Luis Borges narrative discourse. The Pope met the Argentinian writer, whose works are the subject of semiotic studies. Narrative generates dialectic, and dialectic helps to explain things without choosing a single solution. Hence, Pope Francis’ favorite image, that of polyhedron. But his polyhedron is open, it is not intended to lead to a synthesis. These are the reasons why Pope Francis needs a concrete impact on issues, hence his pragmatic talks on faith. God is the synthesis, but the real issue for the Pope is showing a path from the heart. His view seems to be that of a secularized review of the City of God. Hence, the primacy of pastoral care over doctrine. Hence, Pope Francis’ social speeches, very concrete indeed – see for example his speeches to the popular movements. After five years, this is apparently all we have to expect from the Pope, beyond any agenda behind his back. In the end, we could simply accept him, going beyond any intellectual construction and avoiding to generate oppositions that has no reason to be, or trying to show a continuity or discontinuity with the previous pontificate. Faith on Christ is real continuity for the Church. And Pontificates are not to be read as part of a political alternation.